Google announced last week that the company will begin phasing out support of Microsoft's Internet Explorer version 6 beginning in March. The announcement is directly related to attacks that Google had to fend off. The cyber attacks, which originated in China exploited a vulnerability found in IE6. Shortly after the attacks, Microsoft issued a patch that eliminated the problem. Google cited that many other companies have stopped supporting other older versions of popular browsers. Google Docs and Google Sites will be the first areas to drop IE6. The company suggest upgrading to the latest version of Internet Explorer or using Firefox, Google Chrome, or Safari. If you go to Amazon currently and search on a title from Macmillan or any of its subsidiaries, you won't find them listed as available from Amazon. They are available from Amazon retailers, but not Amazon itself. Why, you ask? That's a good question and one that bears explaining. As the e-book reader market continues to change and evolve, we're going to see more and more struggles between the publishers and the distributors. This most recent event is because Macmillan wanted to charge more for their books. Amazon sells most of their Kindle titles for $9.99 and really wants to keep the majority of the titles at that price point to remain competitive. The last few months have seen a new Sony device, the Barnes & Noble Nook, and this week the iPad. The last thing Amazon wants is a plethora of new devices capable of selling and delivering books at a lower price. Due to the disagreement with Macmillan, Amazon removed all Macmillan (and its subsidiaries) titles from Amazon directly. Macmillan wanted to have their titles priced from $12.99 to $14.99. I'm not well versed enough in the economics of publishing to be able to offer an opinion on who is right and who is wrong here, however I do know that the real loser in this disagreement is the consumer who wants to purchase a either a hard copy or Kindle version of one of those books. How will this shake out? At this point it's hard to say. It took the music industry a fair amount of time (years) to figure out the proper sales model and even the current successful model is under debate. As a Kindle owner and technology lover, I hope they get this situation resolved quickly. It's never good when a game changing technology takes a back seat to corporate politics. I'm betting this gets worked out sooner as opposed to later though as the publishing business has been suffering and there is a great revenue stream available here. We are two weeks into our time with the Cadent iTero. The experience has been a good one with the staff taking to it with a minimum of effort and the patient's have been both impressed with the technology and the elimination of the vinylpolyether impression material. They are also fascinated with the technology and love to watch the case take shape on the screen. We've found that the workflow has actually improved our scheduling and creates more available "doctor time" to see emergencies or to spend more time with other patients. Of course all of that means nothing if the end result is not a quality restoration for the patient. I've heard good things from other users and the science makes perfect sense to me, but the proof is in the clinical results. Today we cemented our first iTero crown. It was an upper left second molar and of all the teeth dentists treat, second molars are one of the most difficult simply because it's difficult to get the bite exactly right. Today, the process from removal of provisional to final cement was 5-7 minutes. The margins were perfect, the contact was just the way I like them, and the occlusion needed two tiny adjustments. The patient was thrilled that it was so easy. Now I know it's only one case, but the result is what I've been hearing from lots of iTero fans. Basically the cementation appointments are easy and routine. I'll be reporting back on the device as we get more cases to completion and if there are problems, you'll know about them. So far though, the process has been exactly what the folks at Cadent said it would be. That's pretty impressive. Unless you haven't been paying attention, the tech world has been awash in rumors the last month or so about what Apple would be announcing on January 27th. Well today was the big day and for once us pundits got it right. 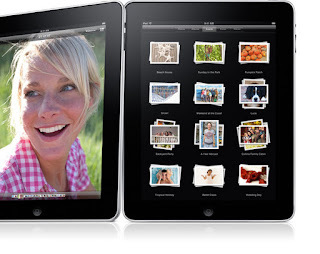 The gang in Cupertino announced a tablet type device called the iPad. Now when a lot of us think of "tablet" I think we default to Microsoft's Tablet PC. That's basically a fully functional PC with a stylus and a virtual keyboard for input. The iPad is more like a turbo charged iPod Touch, and that's not a bad thing by any means. The device is 1/2 inch thick and has a 9.7 inch display with a resolution of 1024x768. If you've ever seen any of Apple's displays, you know how beautiful this one is. It's light, weighing just 1.5 pounds. It will be available in 16, 32, and 64Gb models. It has Wifi and also with some models you can have a connection to the AT&T 3G network. It allows you to surf, buy and listen to music, and can run any app that is currently available in the App store. Of course, applications are already being developed for the new processor and larger screen size. Apple has also developed a version of iWork for the device allowing you to do word processing and even develop and give presentations using Keynote. One of the new things that Apple has brought out with this device is iBooks. The iPad is also an ebook reader and there is now a bookstore available in iTunes. My overall impressions are favorable. While it's not a world changer, it's definitely something that occupies a needed space between tiny phone and large/heavy laptop. You flat out know that an Apple product is going to be beautiful and will function brilliantly. I can envision using this around my house & office where I have plenty of Wifi and don't want to lug the MacBook Pro around with me. However, the whole AT&T thing is a mistake in my opinion. I don't need another wireless connection to pay for. If you could use other carriers and I could piggyback this onto my Sprint bill, then maybe, but I don't have that option. Also, people keep touting that it is $499. That is the price for the smallest memory option with no case, dock, etc. I'd want the 64Gb and with all the things I'd add to it, you're talking closer to $1000 than $500. That's a tremendous difference. Will it sell? Of course it will. Apple has a built in fan base that guarantees any of their products will be a success. Will it get main stream buy in? I think so. It's a nice first effort. It does what it promises to do. Will it be a game changer? So far I'm on the fence. Will I get one? I'm thinking yes. You can never have enough storage... right? Well, for years, Iomega has been fairly synonymous with storage. The device above is one of their latest devices, the StorCenter. It comes in various models, but is basically a RAID device that stores and can be accessed across your network. Easy file sharing, data backup and print serving from any networked Windows® PC, Mac or Linux workstation. RAID Support—: RAID 5 and RAID 10 - all with automatic RAID rebuild. JBOD mode also available. Dual Gigabit Ethernet—Connectivity with Jumbo frame support and high performance embedded architecture. iSCSI Target—Provides block-level access for the most efficient storage utilization, especially for database and email application performance. It can be used in parallel with file-level storage access via CIFS/NFS. LCD Screen—A small front panel display provides quick information on the status of the StorCenter ix4-200d. Remote Access—Connect securely from anywhere in the world and get full access to the pictures, videos, files and administration of the StorCenter ix4-200d through a personalized web address. Active Directory Support—Functions as a client member in an Active Directory domain allowing the StorCenter ix4-200d to utilize the domain users and groups. Define your policy to copy/synchronize files to and from the StorCenter ix4-200d to any other NAS or USB attached storage device using Rsync technology, without the need for a client computer. One touch copying via the QuikTransfer button. Folder Quotas—Easily manage capacity by setting maximum limits per user folder. 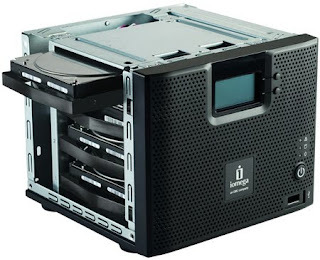 Print Server—Intelligent print sharing capability for up to 3 USB printers directly connected to the StorCenter ix4-200d. VMWare® Certified—HCL certified NAS (NFS) and iSCSI storage for VMware. Power Savings—Automatic hard drive spin-down. 2TB & 4TB SKUs come with low power consumption "green" Hard Disk Drives. Time Machine®—Support lets Apple® users easily backup any Mac computers running OS X (10.5 or later) using Time Machine. Uninterruptable Power Supply (UPS) Support—Enables unattended system shutdown via the USB port without data loss in the case of power failure. System Dashboard—consolidates information on space utilization, device, peripheral, and backup status. UPnP™ DLNA Certified® AV Media Server—Able to stream photos, audio content and videos to a variety of media devices like game consoles (Microsoft Xbox® 360, Sony PlayStation® 3), audio bridges, iTunes™ players, picture frames, etc. Photo Slideshow—Integrated utility based on the Cooliris™ technology for quick browsing (3D thumbnails) and sharing of pictures stored on the StorCenter ix4-200d to both local and remote users. Torrent Download Manager—The StorCenter ix4-200d manages peer-to-peer file transfers without the need of a dedicated PC. Picture Transfer Protocol (PTP)—No touch, automatic transfer of photos from digital cameras via the USB port. EMC® Retrospect® Express Backup Software (unlimited client licenses). Professional-level client backup for all your critical data. Apple & iTunes in the Cloud? There are quite a few Apple rumors floating around these days. The biggest, of course, is the pending January 27th meeting where everyone seems to think the Apple Tablet will be announced. However, another juicy rumor that's been making the rounds is that of an upcoming enhancement to iTunes that will move users access "to the cloud". It seems that Apple has been secretly talking to the major record labels about an idea they have of allowing users to stream their iTunes libraries. The idea is a free service that would let users upload their libraries to a secure server that could be accessed from any computer and would let users stream this library. Basically you would have access to listen to your music anywhere you had a computer with Internet access. Of course, adding to the speculation is the fact that Apple purchased the online streaming company LaLa last year. This would give them a huge amount of help with the program since online streaming is what LaLa was/is designed to do. There is even speculation that you'll see an "upload" button built into iTunes in a not too distant update. The rumors say the service could begin as early as this spring. Personally, I'd love this. While there are ways to do this now, none of them are as easy and integrated as having it in the software lots of us are using for managing our media anyway. It would also be a nice way for those of you who don't back up as often as you should. Here's hoping it happens sooner as opposed to later. This is a pretty cool idea. Adesso makes a keyboard that has a card reader with multiple formats built right into it. If you take lots of photos of patients, this could really speed up being able to get them into the computer and onto the monitor more quickly. Combine that with a $29.99 price tag, and you really don't have an excuse for not getting one. 128GB CF Card Announced - Photographers Rejoice! Most of the announcements in the memory card department have revolved around the SD format. It makes sense because most consumer cameras of the point and shoot variety use SD cards. Yet, most professional photographers use cameras that use Compact Flash. So you can imagine the excitement in the realm of the professional photographer when Silicon Power announced a 128GB CF card (that's not a typo). More high res photos with fewer card changes. That's a good thing. The only problem is no info on cost at this point in time. As most of you know, I'm a big fan of YouMail. The Internet based voicemail system is a great product which I recommend highly. 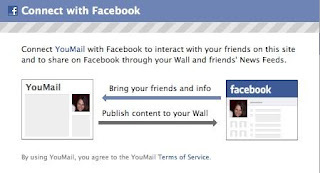 Now, if you have a Facebook account, YouMail will grab the photos of your contacts and apply it to your YouMail messages. Sweet! 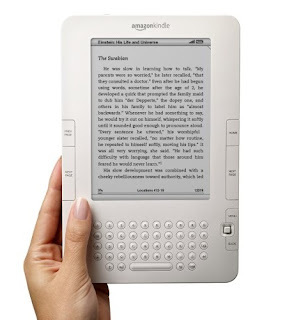 Since Amazon's Kindle e-book reader is a sort of a tablet, this week in what might be a tip of the hand, Amazon announced they are opening up the Kindle to developers that will allow them to develop apps for the reader. Now, you're not going to get "Slingshot Cowboy" or anything like that. The Kindle has a poky processor and is made to read text, not render graphics at high speed, but I can see all kinds of puzzle games and other things that would just give users more to do with the device. I don't see this as a direct shot at Apple. Amazon has an iPhone app that allows Kindle book reading on Apple hardware. No, I think this is more about giving people more to do with Kindle. The whole idea of the Kindle is to keep people buying books from Amazon (and only Amazon) so this makes sense to me. Also, as a Kindle owner, I can hardly wait to see what comes out of this. I'm always looking for a way to waste time in airports! Apple has filed a patent for 3D "head tracking" that allows a user to rotate and interact with an image on the screen simply by moving their head or hands. While old school users of 3D technology might be more comfortable with a mouse, this system will give new users more of an immediate orientation in the space while allowing experienced users to be more efficient. I can see this becoming a technology in the health care field. Especially with the increasing use of 3D technologies. My Gendex CB-500 cone beam unit allows me to see the patient's head in 3D and running the viewing software with my head or hands would be pretty cool. Here is a link to more info and a video of the technology. Thanks to Medical Software Advice. In 2008 Sony intr0duced a new platform called TransferJet. The idea is pretty simple; allow devices to communicate wirelessly and move data between them at high speeds. This new standard will transfer data at 560Mbps as compared to BlueTooth at just 3Mbps. The technology will be used in both computers & devices allowing such things as cameras that automatically transfer photos to you laptop/desktop. They are even embedding it in their proprietary Memory Stick storage solution. Some devices will hit the shelves before the end of January with more to come over the next 6 months. The drawback? The devices can only be 3cm apart. That's a pretty close distance. It's easier than hooking up a cable, but not by much. Houston, TX – January 18, 2010 – ClearCorrect™, Inc., the clear alternative in advanced and affordable transparent orthodontic aligners, otherwise known as invisible braces, will be exhibiting at this year’s Yankee Dental Congress® from January 28 – 30, 2010 at booth # 2130. While at the Yankee Dental Congress®, ClearCorrect will be running a special promotion in which newly-registered dentists receive 50% off their first case after attending a full-day, CE-accredited workshop scheduled for February 13 at The Marriott Courtyard Boston Logan Airport. “We’re doing our utmost to ensure that our newly-registered New England dentists are well prepared to provide their patients with the most advanced and affordable clear braces available,” explained Dr. Pumphrey. The company closed 2009 by more than doubling the overall size of its Houston Headquarters and tripling its dedicated manufacturing footage, due to increased demand. “Since Q4 2009, we’ve been consistently registering more and more dentists every week, and so to stay ahead of the curve, we already have plans underway to again double the size of our facilities,” stated Dr. Pumphrey. ClearCorrect’s exponential growth continues to be fueled by its focus on educating the profession, rather than the consumer, in an effort to build relationships with orthodontists and general dentists, who will in turn recommend the clinical and financial advantages of ClearCorrect to their patients. For more information on becoming a ClearCorrect provider, visit http://www.clearcorrect.com/doctors/becomeaprovider.html. Headquartered in Houston, Texas, ClearCorrect was founded by dentists to serve the dental and orthodontic industries by providing a superior and more affordable clear aligner system. The highly sophisticated ClearCorrect treatment delivery system and corresponding aligner products are based on years of research and clinical experience. Cutting-edge technological advances and advanced treatment expertise, coupled with comprehensive marketing and sales support, make ClearCorrect the premier clear aligner solution of choice for informed dentists and patients. The company’s modern, needs-based approach for serving doctors and patients has earned it a leadership position within the dental industry. For information about ClearCorrect, the company and its products, please visit www.ClearCorrect.com or call 1-888-331-3323. The Airstash is a kewl little device. It is a flash drive and a built-in media server. You can use it as storage or you can stream movies and other files to other users in an adhoc network you set up. I could go on and on, but I'll let them explain it to you. Here is the info from the company website. Oh, it's not available yet, but it was shown at CES so when it's out there, I'm grabbing one! AirStash stores your movies, music, photos, and documents and wirelessly shares them with your phone, media player, netbook, tablet, computer, and more. Use AirStash like a USB flash drive to drag & drop the files you want to your SD card while charging the built-in lithium polymer battery, then unplug & play on all of your browser-enabled WiFi devices*. If you know how to use a USB drive and a web browser, you know how to use AirStash. 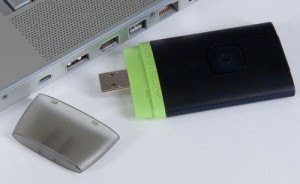 Once you own AirStash, every other USB flash drive will seem less evolved. Just connect your WiFi enabled device to your AirStash and instantly surf & stream your media files through your web browser. No software or app installation is required. Sprint is bringing 4G to us at sometime in the not too distant future. In fact, in some of you who are in a few lucky areas of the US are able to get it right now. Alas, here in KC I'm still missing out. However, I can't wait to get my hands or devices on the next generation of wireless. I've made a post or 2 about 4G in the past, so if you're curious either Google/Bing 4G or you can search on 4G from the search field on this page. Anyway, the new modems from Clear are the Gemtek Series G, which is/will be available in Las Vegas, and the Motorola CPEi 725 Series M, which is/will be available in Portland. These devices will even allow you to do VOIP and you can plug your phone directly into them. Cool. Now I only wish I could get one and use it! A couple of years ago (I think) McDonald's made an effort to go after business customers with the the idea of Wi-Fi in their restaurants. They had decided on a "pay as you go" plan that basically allowed a user to connect for 2 hours for $2.95. Their hope was to grab business folks on the road who needed to get some work done while they grabbed a quick bite. Now I'm not a huge McDonald's fan, but I do eat eat there and I honestly can't remember seeing someone with a laptop there when I was. Be that as it may, the company has now announced that Wi-Fi is now free at the 11,500 restaurants that feature the service. The company had announced the free service, but no one knew when. 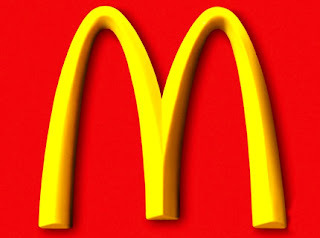 The magic date was 1-15-10, so enjoy. You deserve a break today! 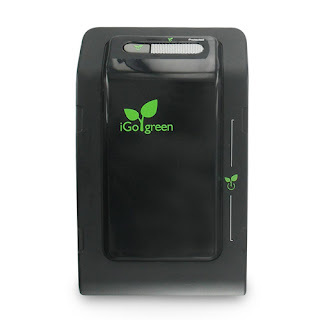 I like the products from iGo. I have their mobile charging system and take it with me whenever and wherever I travel. As you probably know by now, I'm also really making an effort to be greener in most things I do, so when I saw this product, I thought it would be a good one to mention. Most of us don't know this, but devices plugged into AC power outlets for charging continue to consume power even after reaching a full charge status. Of course what this means is a continuous unneeded use of power. To prevent this, the Power Smart Wall senses when charging has stopped and shuts down the outlet, thus saving power. The device plugs into a normal 2 outlet receptacle and uses that to power itself. It also has 2 other outlets (for a total of 4) that don't power down so that you can still use devices that always need power. Energy saving wall module with integrated iGo Green™ Technology automatically reduces wasted standby power by up to 85%. Plug in your computer and other devices to save power without the hassle of unplugging your devices. Apple's Tablet to take Aim at Health Care? 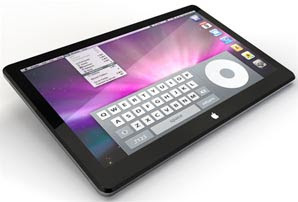 For at least of couple of years there have been repeated rumors of some type of tablet device in the works at Apple. 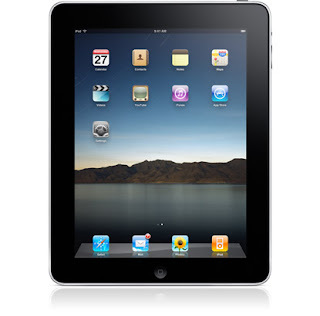 Every big Apple announcement has caused speculation that "this time" it will be the tablet. Well, something's going to be announced soon and almost everyone seems to think that finally this is the time. The rumored device is a bit of a guess. It will probably be more than a big iPod and less than a full laptop. That may leave the target market a bit on the slim side. After all if you have to carry it like a laptop, why not just have a laptop. However, umors are really swirling this time about a potential deal with Cedars-Sinai hospital that will put Apple smack dab in the health care market. Dentistry has always had some Mac programs for practice management, but with 95% of the world running Windows, the market penetration has been light. Perhaps this might create more of a tipping point for health care in general. Of course all of that depends on the simple problem that first their must be an Apple tablet to start with. Here's hoping it's finally time. I couldn't resist using the word impression in the title of this post. That's because the Cadent iTero is a digital imaging system that eliminates the need for impressions for fixed prosthetics. The penetration in dentistry of these types of devices is pretty low currently, but I can foresee big things for the iTero. We just finished 2 days of training on the device and I have come away very impressed with what I have seen so far. The process is simple, much more simple than most doctors think, and the speed and ease of workflow are already changing things a bit in my office. When you add in the fact that you can tell people they will not have their mouths filled with multiple rounds of "goop" you've got one more reason to consider this device. I pushed the envelope a bit during training, just to see what the device could do while the trainer was there. The ultimate was today with a distal margin on a lower first molar that had a 4-6mm subgingival finish. I sculpted the tissue back with a laser and was pleasantly surprised when the iTero easily captured the margin with no problems at all. Patient acceptance? Outstanding. Not having to suffer through impressions is a big plus for patients. Of course the real indication of the device's quality will be when I receive the crowns back from the lab. Cadent tells me they have over 90% of their restorations being seated with no adjustments. That is a huge advantage over traditional methodologies. If that proves to be the case, we will begin to shrink our impression material inventory. I'll report back on the seating and cementing, but so far I've got to say that it's been an impressive two days with the Cadent iTero. ORANGE, CA – January 1, 2009 – Introducing Vertise™ Flow, Kerr’s first self-adhering flowable composite. 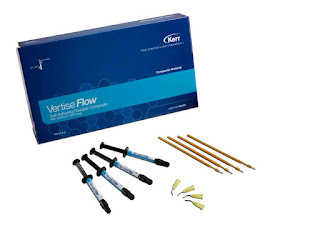 Kerr has become a leader in resin restorative dentistry due to decades of advancements in composites and expertise in adhesives―both of which come together in Vertise Flow. The self-adhering flowable composite technology eliminates the need for a separate bonding application step with composites for direct restorative procedures. Powered by Kerr’s renowned OptiBond® adhesive technology, this product will greatly simplify the direct restorative procedure for today’s time-challenged dentist by incorporating the bonding agent into the flowable, a distinguishing feature that sets Vertise Flow apart from competitors. Product Manager Mikhanh Pham said, “Vertise Flow’s incorporated adhesive creates a tenacious bond to tooth structure and protects against microleakage. Bond strengths to dentin and enamel are comparable to other self-etch adhesives.” Vice President of Research and Development David Tobia explains the technology further. “GPDM is a unique molecular entity containing a phosphate group that bonds to the calcium in the hydroxyapatite, and a methacrylate functionality that bonds to the monomers in the resin matrix. Thus, GPDM, with its dual chemical roles, is the glue that affords Vertise Flow its unique properties.” Clinical studies through independent research validate low microleakage and high bond strengths and are available for viewing on the company website. Clinicians have remarked that Vertise Flow could impact the dental profession in a way that could be industry-changing. To view clinician endorsements and to learn more about this new product go to kerrdental.com/vertiseflow. To learn about our broad portfolio of products, visit kerrdental.com or call 800.KERR.123. To find out more about continuing education online and free CE credit, visit Kerr University at kerrdental.com/education for upcoming live webcasts, on-demand video, and the latest CE articles. Today we'll begin being trained and utilizing the iTero system from Cadent. The device has been on the market over 3 1/2 years now and has acquired quite a fan base. 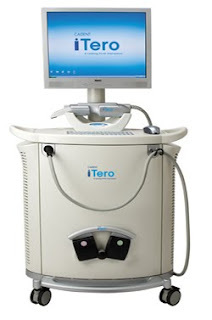 The iTero uses an intraoral camera to take photos of teeth that are prepared for dental restorations. 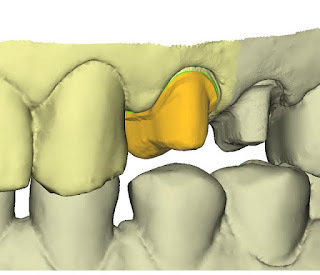 These photos are used to create a virtual 3D model of the prepared teeth. This data in then uploaded wirelessly to Cadent's offices where it is used to fabricate a model out of resin that is then shipped to the dental laboratory. The process provides more accurate restorations than traditional methods and allows the dentist to create lab fabricated restorations without using the dreaded goopy impression materials that all patients must tolerate in traditional procedures. I'm happy and excited to be involved with Cadent. I'll keep you advised on how it's going. This is pretty cool. 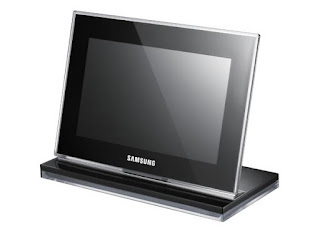 The folks at Samsung have announced the creation of a new digital frame that they claim is the thinnest ever. The device, called the 700Z Digital Photo Frame uses an Organic LED (OLED) screen. The dimensions are 9x6x4.6 which is a decent size for a digital frame. It also sports bluetooth connectivity for wireless photo transferring. It should show up in March of 2010 for around $300. I'm never sure about poor Kodak. They no longer really exist in the dental world, having sold their medical and dental divisions to a Canadian company called Onex a few years ago. Although the company is still called Kodak, that's in name only. It's actually called "Kodak Dental Systems by Carestream Health". That's been a good thing as the "new" Kodak has shown innovation and good customer service. Both the dental division before the selloff and the remaining real Kodak company were terribly short sighted back in the early days of digital imaging. They clung to the film model way too long and failed to think that digital imaging would spell the end of film based imaging systems. During the Consumer Electronics Show, Kodak has been showing some new cameras, catering more to the point & shoot consumer market. The first is the Slice. It is a point and shoot that features 14MP sensor that will also shoot 720p video. It's a bit pricey at $350, but that's up to the buyer to determine. The Playsport is an interesting product. It is a tiny handheld video camera that shoots video in 1080p. Probably the coolest feature is that it's waterproof to a depth of 3m which should make for some fun times at the beach. It has HDMI out and also an SD card slot if you need more memory. At a cost of $140, this looks to be a product to watch. Wellcore has developed a system that allows seniors to track fitness, but the double benefit is that the system also works as an automated alarm system in case of falls etc. January 6, 2010 - Wellcore Corporation, a Silicon Valley-based company dedicated to developing solutions that promote wellness, safety and security, unveiled today the most advanced, intuitive and affordable Mobile Personal Emergency Response System (M-PERS) product available for seniors who want to stay safe and live more active, independent lives. Utilizing motion detection and advanced pattern recognition, the patent-pending Wellcore System offers automatic fall detection, online monitoring, and text-to-speech messaging. 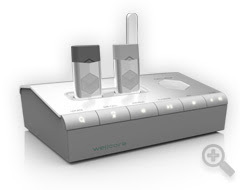 The Wellcore System will be available for pre-orders from www.wellcore.com on February 18, 2010 and via retail e- commerce sites and stores in March 2010. The Wellcore System can distinguish falls from other types of motion with unprecedented accuracy. In the event help is needed, Wellcore automatically sends emergency services and alerts designated caregivers and family. Traditional Personal Emergency Response Systems (PERS) require users to push a button, do not indicate whether the device is being worn, and only work inside the home. The Wellcore product summons help with or without the push of a button, reminds the wearer to put it on, and works anywhere -- including outside of the home -- in conjunction with a Wellcore-compatible cell phone. • Detects falls automatically and sends help in an emergency. Wellcore distinguishes falls from other types of motion with unprecedented accuracy—all without having to press a button. When a fall is automatically detected, a Wellcore specialist contacts the wearer to assess the level of urgency. If an emergency is determined or there is no response, Wellcore sends emergency services and alerts designated caregivers and family. The button can also be pressed at any time to initiate the same immediate response. • Asks to be worn when forgotten. When forgotten, Wellcore sends friendly reminders through the base unit, asking to be worn, and a notification appears on the online dashboard. If the sensor is left unworn for an extended period of time, an email message is sent to a designated caregiver or family member. • Monitors activity and provides an online dashboard for at-a-glance reassurance. Accessible 24/7, a password-protected dashboard tracks motion and learns daily patterns over time, highlighting significant changes when they occur. The dashboard also displays notifications and alerts concerning everyday activity and safety. • Delivers messages to stay connected. Text messages created on the online dashboard are converted to voice and played on the base unit, similar to voice messages on an answering machine. • Protects on the go-not just at home for a safe, active lifestyle. When paired with a Wellcore-compatible cell phone, Wellcore allows 24/7 protection anywhere within the cell phone’s coverage range. When a fall is detected, the cell phone summons emergency responders to the exact location of the fall using the cell phone’s GPS, and caregivers are alerted. • Innovative design. Made of brushed aluminum, the Wellcore device and base unit feature contemporary design from one of the world’s most renowned industrial designers, Dr. Hartmut Esslinger, founder frog design. Unlike other Personal Emergency Response devices, the Wellcore solution is stylish as well as waterproof. New SD Cards could have 2TB capacity. Will we ever need to delete? I don't even feel that old and I can remember when I thought a 128mb SD card was a monster. Now you can't even find one with a capacity that small. The SD Card Association (an industry group composed of Panasonic, SanDisk, and Toshiba) has announced their latest next-generation SDXC memory card specification which will allow for capacities up to 2TB. Yup, 2 terabytes on an SD card. That makes those 60GB SSD hard drives seem pretty lame, doesn't it? The next-generation SDXC memory card specification, released to members in April, 2009, dramatically improves consumers’ digital lifestyles by increasing storage capacity from more than 32 GB up to 2 TB and increasing bus interface speed up to 104 MB per second in 2009 with a road map to 300 MB per second. SDXC's extended capacity will provide more portable storage and speed, which are often required to support new features in consumer electronic devices and mobile phones. A 2 TB SDXC memory card could store an estimated 100 HD movies or 480 hours of HD recording or 136,000 fine-grade photos. Faster bus speeds will enable professional-level recording in compact consumer camcorders and increase the number of frames shot in a second with SDXC cameras. The faster bus speeds in the SDXC specification also will benefit SDHC, Embedded SD and SDIO specifications. The USB jump drive has become pretty ubiquitous the last few years. What was once a novelty and a fairly pricey luxury to have in your pocket, is now as common as a key ring. And speaking of key rings, there are a lot of people that keep a USB drive on their key ring as a way to have health info, travel info, or "just in case" storage in case someone needs to give you a copy of important info. My buddy Marty Jablow has been carrying one with his keys for as long as I can remember. The only thing he's found cumbersome about it is the form factor. Many jump drives are rather thick rectangles and take up a good chunk of ring and pocket real estate. To that end, I'm sure Marty will soon be sporting one of these sweet new drives from LaCie. They are specifically designed to be on your key ring and have a developed form factor that lets them blend in with the other keys. They are the the LaCie CooKey and LaCie WhizKey. The CooKey is the round version while the WhizKey is the more angled. Both come in capacities of 4, 8 16, and 32GB ranging in price from $20 to $100. A great idea in a better form. I hope Marty gets me one when he orders! Looking for a way to give your desktop a facelift? If you are a Windows user and are looking for a way to give your desktop a new look on a regular basis, take a look at Wallpaper Juggler. It will access a folder you designate on a schedule you determine and replace your wallpaper with one of the others stored in the designated folder... automatically. Now you have no excuse to just sit there with the same wallpaper you've had for the last year. And yes, that includes me. It runs in background and can be controlled from System Tray. look for wallpapers in multiple folders including/excluding subfolders. Best results when used with matching resolution wallpapers. change wallpaper once every preferred duration between 1 min and 500 hrs. It will understand "000 Hrs/Mins 000 Min" format. It can interpret M/Min/Mins/Minutes and H/Hr/Hrs/Hour as Minutes and Hours respectively. adjust image positioning for odd size wallpapers. You can also change wallpaper manually by clicking 'Juggle Now' menu or double clicking the icon. It allows only one instance at a time. It also displays the last updated wallpaper and the time stamp when the next change will occur. "Active" option to enable/disable wallpaper juggling while program is running. It downloads stunning wallpapers from interfaceLIFT.com and WallpaperStock.com using "Download Wallpapers" screen. I've been using Twitter for over 2 years now to help keep my friends and readers advised of what's going on moment by moment in my life. The whole Twitter thing has really exploded in the last 12 months with even Bing and Google now allowing for searching of Tweets. Even Twitter itself has a search function, but it's clunky and makes finding what you want very difficult. To the rescue comes Flocking.me The idea is pretty simple, it lets you search just the tweets of your friends and no one else. The concept is that you get more of what you are looking for because most of the time we are (at least I am) more concerned about info from your friends than from the herd in general. The website is here and the service is free. If you need a way to keep track of tweets, this may be just what you are looking for!